Somehow, on a wing and a prayer the last failing inner, patched more times than I would care to think made it the final 40kms to Aputula, where fresh inners awaited us. Thank god. I can’t believe that little battler held! 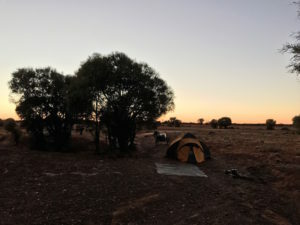 Each morning on the march to Aputula I would wake with a sense of dread; worried about what I would find when I stumbled from the tent at 5.30am whilst Morgan and Lauren still slept. My mood for the day was directly correlated to the pressure in tires. Apart from a very slow leak…I was mostly happy (although highly strung). As we got closer to Aputula a sense of anticipation and excitement rose. We had mixed reviews about what to expect when we got to town. A couple of 4wds passed us by saying not to expect much from the town – it was fairly unfriendly. These easily stated opinions couldn’t be further from the truth. As we got closer and closer the signs were that we were going to get the friendliest welcome from our third Indigenous community. 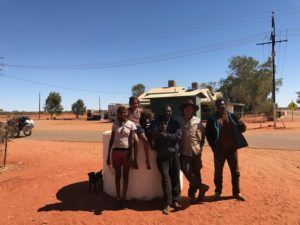 Cars with locals from town would invariably always pull up and chat, ask how we were doing, offer us cold water (seriously the nicest thing you can offer to someone walking in the desert) and let us know that the town was expecting us! ‘They gotta BBQ planned’, ‘Darren sorted you out a place to stay’ and ‘Your next food (drop) arrived at the store.’ Was relayed to us by various different cars. On the other hand the odd car with some of the ‘tourists’ (read White Aussies) would pull up, not say a word, stick an iPad out the window to steal a picture before invariably leaving without even having to time to say hello. Don’t get me wrong, the majority either checked in mostly to ask why the heck we would be doing something like this, or just didn’t stop but that small group made us realize how much we didn’t want to be those people that couldn’t leave the busy city mentality behind them without soaking up the surroundings or the situation. Aputula is a awesome little town. They took pride in their appearance. Many of the houses hadcute flower boxes filled with colourful posies and the local Aboriginal corporation ensured every morning that streets were cleaned of rubbish. 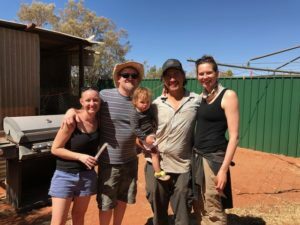 We were lucky enough to be invited to camp in the backyard of Darren and Sian Darts whilst in town, the managers of the Apatula Community Store and they introduced us to some of the locals and gave us a tour around the area. 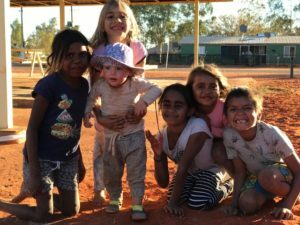 They’ve done a superb job of supporting the local Aboriginal Corporation achieve initiatives that would provide more tourist touch points and a chance to generate more sustainable income for the community. We ended staying for two rest days in Finke so we could really experience the town and its culture. Although our days weren’t very restful, we had repairs to do, a lot of comms to get through as we had some internet access for the first time in weeks and sorted our next food drop that had been sent into Aputula Community Store via trip sponsor Sendle (who awesomely is Carbon Neutural) in combination with Central Desert Transport. In that time Morgan picked up a nickname from the local kids, Marku, which means white witchetty grub. We loved it! 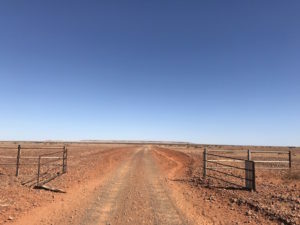 Our plan was to walk to Oodnadatta over the next few weeks via a smaller and more unknown route via Eringa Water hole rather than the very popular and touristy Dalhousie springs. We left Aputula with a heavy load and happy hearts. The biggest worry was the ever increasing temperature. We had ended up starting our expedition a month later than we had originally planned due to me getting hand, foot and mouth disease the week we were origionally supposed to leave (WTF). Because of this, I was increasingly worried about our timing and the closing window of habitable weather due to our late start in the season. I knew we had to make it further South and soon or else our route could become impassable with over 40C degree days the norm. The next portion of the journey was stunning. 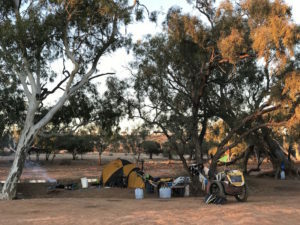 Skirting South of the great Simpson Desert We passed the Goyder River and had one of the most stunning campsites on a dry river bed over 100metres wide. Lying outside under a blanket of stars we felt like the richest people in the world. The next day, Lauren and I had our first and biggest fight yet of the trip. I will admit that when it comes to expeditions I get a ‘little’ intense about numbers. How far we have to go, how long have we got, how many days we need, how many rest days we take (ideally as little as possible) etc, and I can get extremely obsessed about it. The past major expedtions I have done have been a bit of a different vein. I guess in retrospect they were more about being harder, faster and stronger. They were about the feat, to cross an ocean, to cross Antarctia etc. This one in contrast was more about the experience and the sheer personal challenge (hello one year old on an expedition) – very Yin and Yang. 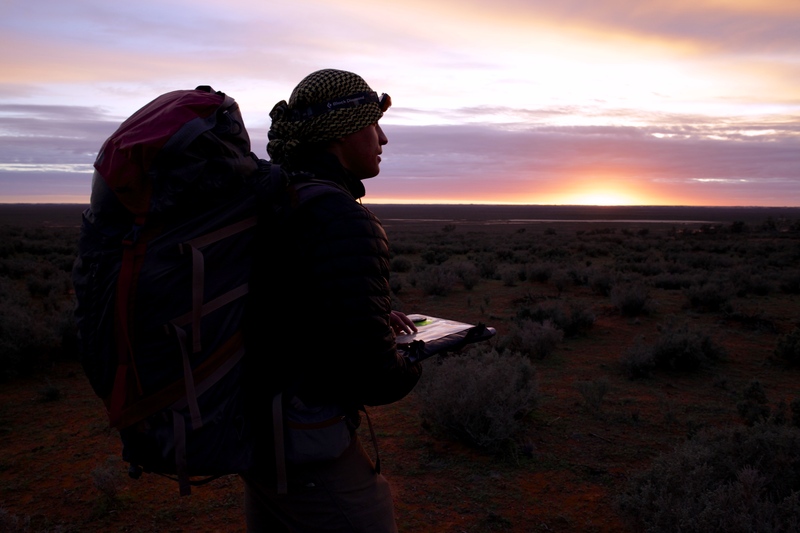 In my pervious expeditions, each day out there is another day of exposure to risk. 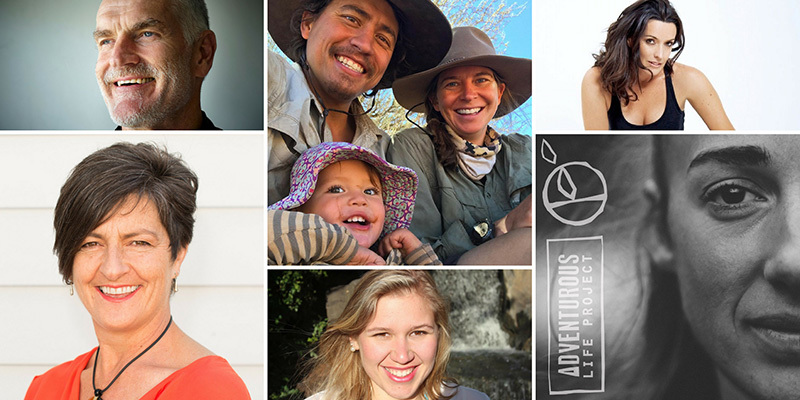 With Morgan and Lauren on this expedition we made sure that the level of risk was reduced and we focused more on the experience and the challenge of merging a young family and adventure. Although that being said, the desert temperatures were fast turning into summer temps and that added to my anxiety. We had set the target of popping into New Crown station along the way and pushed hard one day to make it. After achieving 25km on a hot day, we realized that New Crown was actually one kilometer further away than the map suggested in the wrong direction. Hating to add any extra kilometres on when we didn’t have to, I pushed us on not seeing the point of a social visit when we had so much progress still to make. Regardless to say this shifting of the goal posts was not received well. After some discussion over heated tones, Lauren and I finally realized a very important point, we were both motivated by different things. 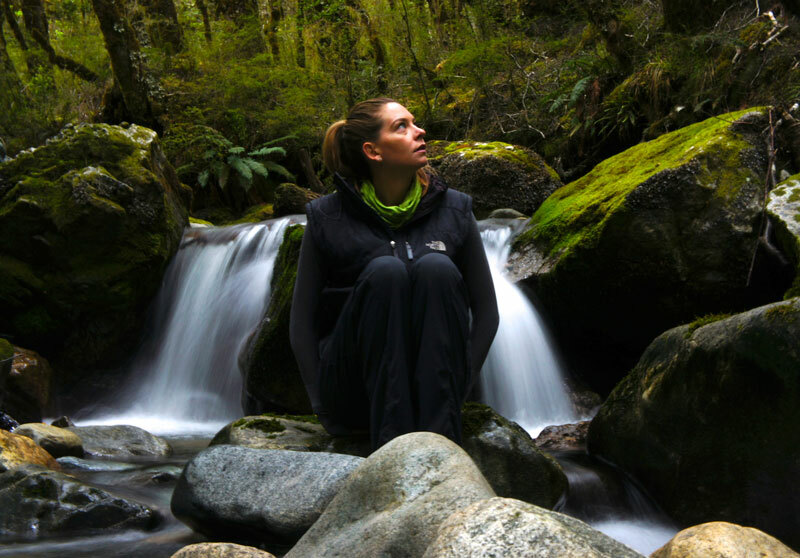 Lauren was motivated by the experiences along the way, weather that was planning our trip a bit longer to skirt us past a swimmable water hole, beautiful vista or visiting an indigenous town or station just to check out a different way of life. I was motivated by our progress as every kilometre more we could do was a kilometre closer to the goal we had so diligently been working towards for over a year. Lesson learnt. 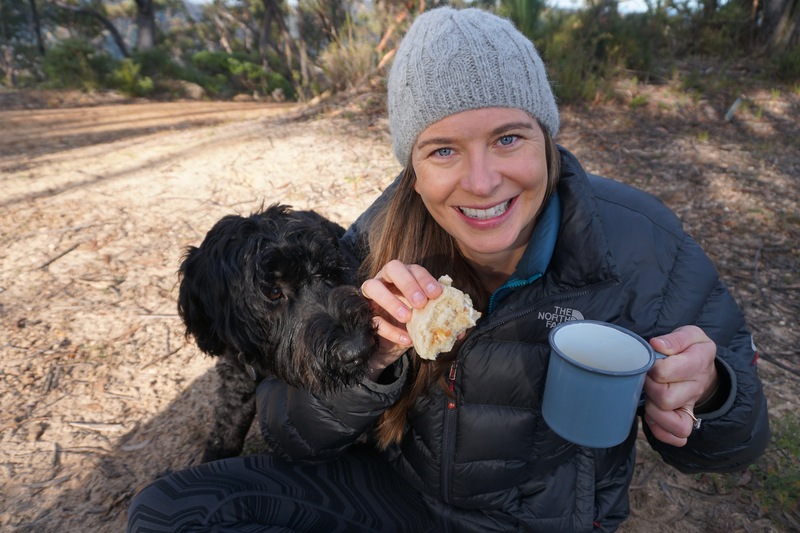 Lauren agreed to try to move our daily kilometers up and push even harder on the days we travelled and I agreed that we could incorporate more of the ‘social’ experience that she valued along the way, even if that slowed us down a bit. It was a good compromise. 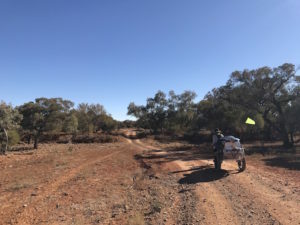 The next few days saw us make our way towards Abminga Ruins on a minor, single lane goat track, flanked by gibber plains (red rock outcrops) rarely traveled on by cars. It was one of the best tracks we’d been on and a massive highlight of the trip. 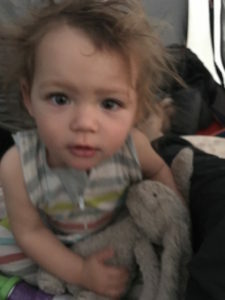 We’ve been asked by a few people how we are managing the sleeping arrangements in a tent, for over three months, with a one year old. Partition Morgan into her own area – both visually and physically. We use a Kidco Peapod Plus tent for her inside our North Face VE25. It’s lightweight, compactable, robust and fits into the North Face tent well. We added a proper mattress to the base of the Peapod (on the outside for safety reasons). Interestingly the footprint of the Peapod Plus is the same size as many oval cots so we used our Leander cot mattress from home. This makes her tent sleeping situation more similar and familiar to her at home cot sleeping situation. 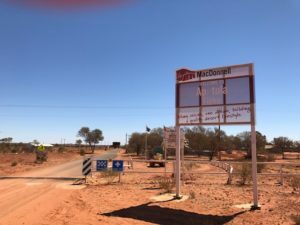 BTW Aputula used to be called Finke when it was established as a settlement by White Australians to serve as one of the main towns serving the old Ghan railway running through the guts of Australia. Once abandoned, the Whites left and the town is now predominantly Indigenous Australian. 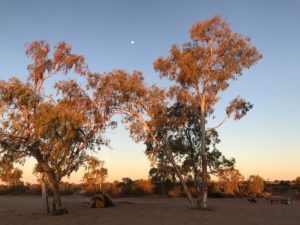 The name was officially changed to Aputula an Indigenous name meaning a type of water soakage, although most Tourists still refer to it as Finke. Fresh Outback Bread (not Damper)!